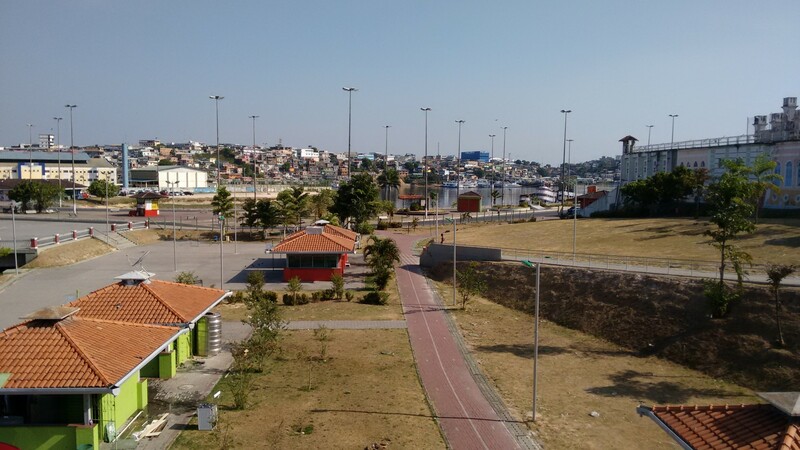 I had a few days back in Manaus to enjoy upon my return from the jungle. 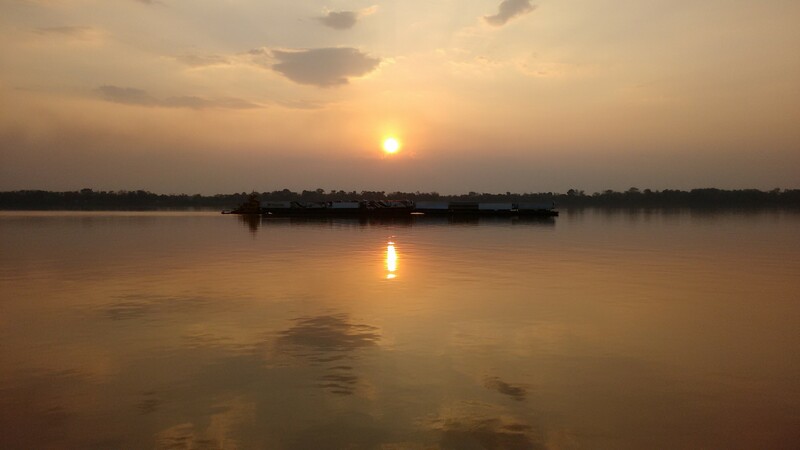 I had decided I would not leave the next day (a Tuesday), but take the boat on Friday, to avoid too much rushing and stress. Unfortunately, travelling often goes awry (at least for me so far anyway), and when I visited the port to check the times the boats left (with the help of Simon and his excellent Portuguese) I found that there was not a boat that Friday. I would have to wait till the next Tuesday. 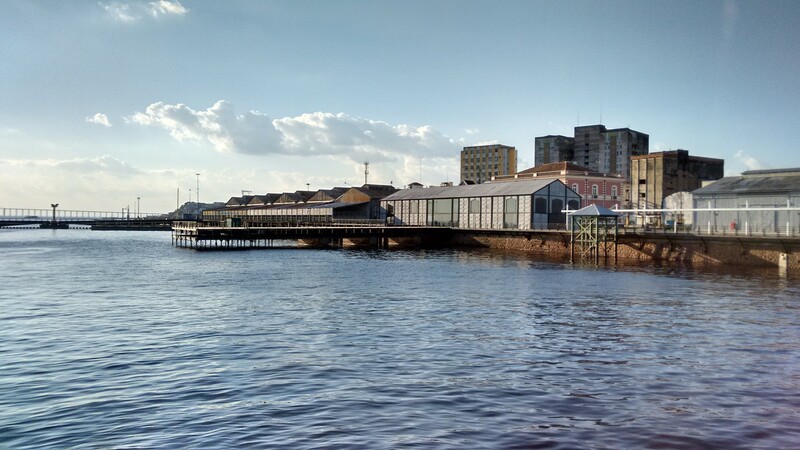 The port at Manaus. The normal one that is. Though a slight thorn in my side, it was a setback I could deal with – there were more than a few places I could still visit in Manaus. Simon didn’t leave for a few days, so we looked around Manaus a bit, got some more juices (obviously) and ate at a churrascaria. It was my first and it was honestly really great. In the midst, I bought myself a Brazilian magazine to help me learn Portuguese. It’s quite a slow read. The picture translation feature of Google translate is a life saver! 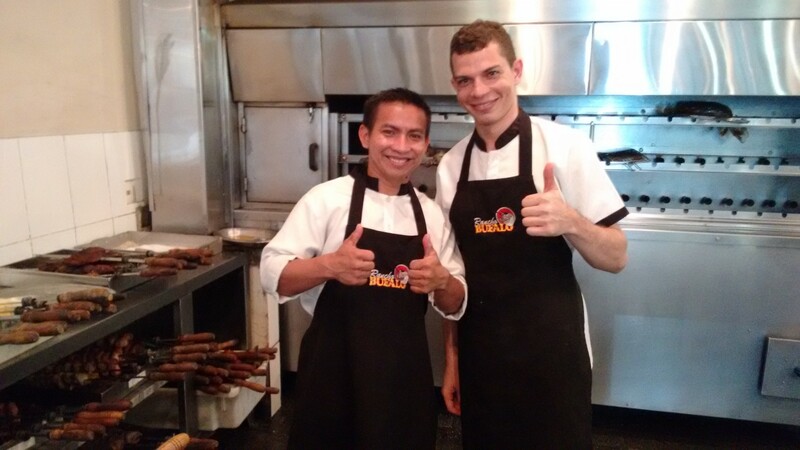 The guys at the churrascaria. On the Thursday, after Simon had left, I went back to book the boat for the following Tuesday. Having mistakenly not brought cash the first time, I got to the port for the second time in the day only to find that the boat had been cancelled! 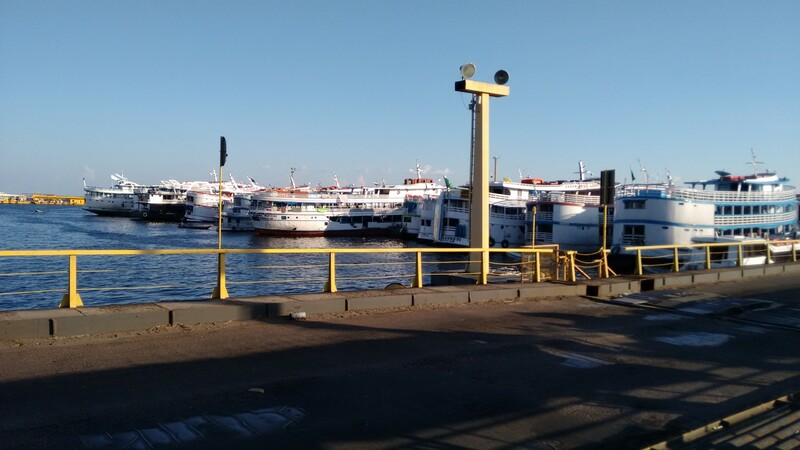 After much difficulty, and the unnecessary complication of a man whose English was worse than my Portuguese, I managed to ascertain that there was a boat leaving for Porto Velho (my destination) on Friday, or rather, the next day. Presumably, the reason it hadn’t been mentioned before was that it was leaving from different port. Fine. Only noone could tell me where this port was. 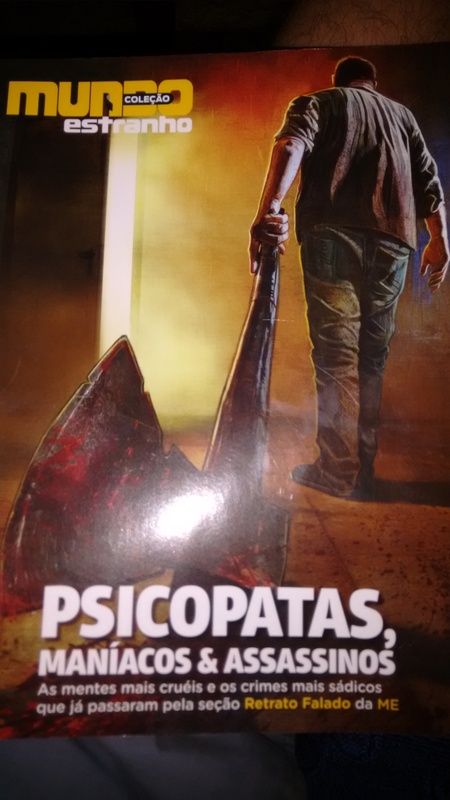 My portuguese reading material. Ok, so not conventional, but interesting! Back across town again I trekked. Back to the hostel to see if my English speaking hosts could find out. They could as it turned out. Porto Demetrio was not too far away, certainly taxiable the next day. Knowledge in hand, I then went back to the port office to book the ticket, only to find a different woman at the desk. As if specifically to confuse matters, she denied all knowledge of the Friday boat but said that Tuesday was fine! My brain was melting down but I explained that it was cancelled, which she was eventually able to confirm, and that it was the other boat I wished to book for. I should have known though, not all is easy. I would have to go to Porto Demetrio to book it. Complete with the knowledge that I would have to be up early the next day for some last minute prep and to get a good Hammock spot on the boat, I had intended to get an early night. It was not to be, as out in the square after eating dinner with Dan, another English guy I met at the hostel, a girl came and sat next to us and a conversation appeared from nowhere. Her name was Danny, and as far as we could gather she had seen Dan at the airport and remembered him because he’d had a skateboard. Thus began a long and tortured effort at interpretation, made more difficult as I’d left my phrasebook behind, but all the more interesting for it. Despite our poor Portuguese skills, Danny continued to talk to us for an hour and a half, occasionally referring to an old schoolbook she had with some English, and frequently telling us off. This was most often when we started to get slightly animated in our struggles to formulate sentences. It was great that a total stranger was willing to put in so much effort with us. Eventually Danny had to leave, but we made sure it wasn’t the end. Exchanging numbers we have been able to keep in contact, Danny messaging in broken English, myself in broken Portuguese. If that’s not what visiting other countries is about, I don’t know what is. By 10 o’clock the next morning I was on the boat. Ready(ish), prepared (not at all) and only slightly dumbfounded. 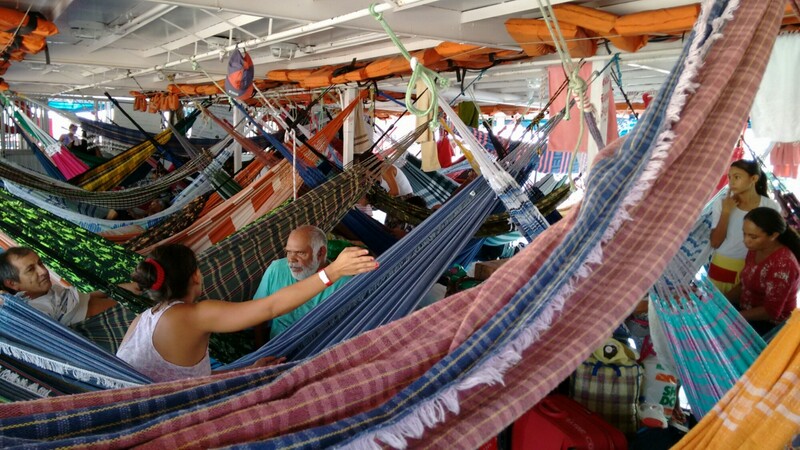 It really was a puzzle working out where to hang my hammock; I didn’t want to encroach too much on anyone’s space and the boat was pretty busy already. It wasn’t due to set sail till six. If I’m honest, I needn’t have cared. By the time we left pretty much everyone’s hammocks would be on top of each other. It’s an interesting time on the boat. For the most part nothing happens, and the day is pretty regimented. Up at 5:30 for breakfast (bread roll, butter, incredibly sweetened coffee), queue up again for lunch at 11AM (rice, noodles, beans, chicken, salad) and the same for dinner at 5PM (lunch, but with beef instead of chicken). In between this there is a remarkable amount of lying about in your hammock, or looking at the jungle from the top deck. All of this is also surprisingly tiring. This is what you see when you’re not in the hammock. I think it’s the heat. That causes the fatigue that is. The constant sitting and lying down probably doesn’t help either. What really takes it out of you though is interpretation. Five days on a riverboat would get pretty lonely without talking to anyone, but noone speaks English. It’s pretty much a crash course in Portuguese and Spanish, and switching between the two. 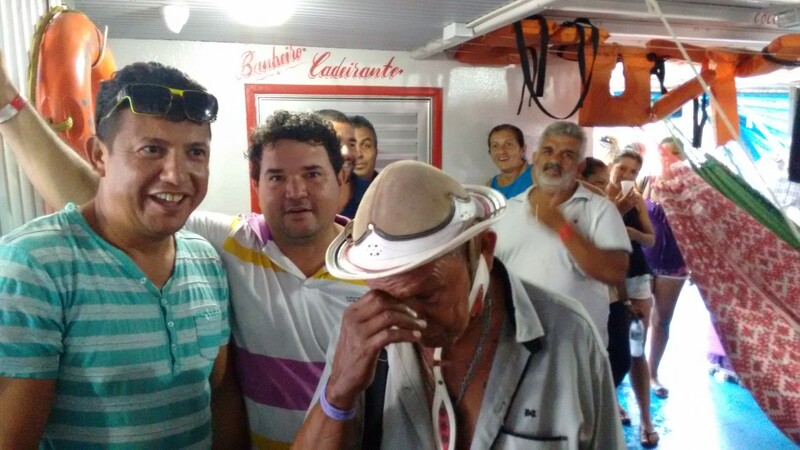 Of the whole boat, there were only three other non-Portuguese speakers. They spoke Spanish. Two Venezuelans, Daniela and Cesar, on their way to Uruguay, and a Chilean, Julio, on his way back home from where he worked in Venezuela. Sort of taken under their wing, I spent a great deal of time with them, attempting to understand some conversations and completely zoning out of others. They liked that my Portuguese was also poor, and enjoyed even more to emphasise that since I was going to Bolivia next, Portuguese would be rubbish and Spanish would be king. Julio suggested that I should be fluent by the end of the trip, and while it didn’t quite work out that way, I did learn a lot. (L-R) Julio, Daniela y Cesar. Aside from this I spent great amounts of time talking to Brazilians too. It was very broken, but basic conversations were occasionally possible, and sometimes necessary. At one point I had to correct the notion that I was a missionary, which consequently opened a can of worms based on my stated non belief. They found it very strange – one person started to get a bit upset! Needless to say, I sidestepped the topic after that. Jessica helped me out with my Portuguese, too. The only person on the boat with any English, we spent a couple of evenings just swapping word meanings and pronunciations. I suppose ‘foreign’ isn’t spoken how it looks! They took pictures of me first! Any other time was spent catching up on diary (unsuccessfully as you can see from the tardiness of this entry), or reading books, such was the tranquility of the journey. 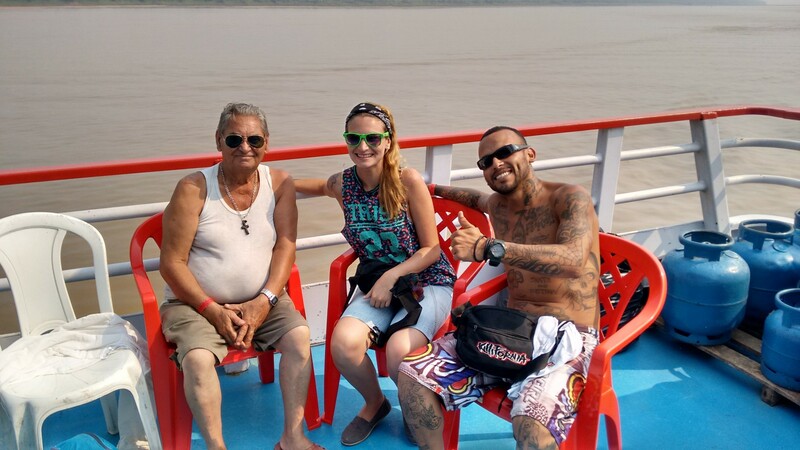 It was an interesting journey on the boat, full of weird and quirky characters, but I was quite glad when we reached Porto Velho. The boat drains your energy when it shouldn’t, and I was eager to get moving at a quicker pace again. My journey to my next destination in Bolivia still had a while to go. 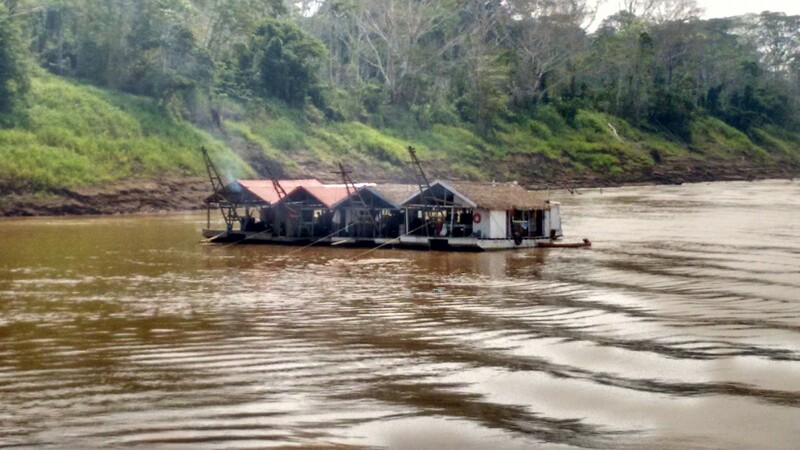 Boat Travel, Hanging in Hammocks, Isolated Places, Language Issues, Rainforest, September 2015, The Amazon. Bookmark. Cheers :D. Well, I shouldn’t be too modest… :P. Yeah, will do :).